Your website is probably your most valuable marketing tool. Regardless of whether you’re operating an online business or a brick and mortar store, being found online by potential customers is one of the most productive ways to fill your sales funnel. There are many approaches to getting people to your website, but the channel with the most potential to drive large numbers of visitors are search engines like Google. There are ultimately two approaches to getting people who are searching on search engines to land on your website – SEO and AdWords. They’re both part of a strategy called “search engine marketing,” which means that both help you put your website in front of potential customers who are searching for your products or services online. And like most marketing channels they each have their benefits and drawbacks. So, which is the best solution for your business? SEO stands for “search engine optimization.” Essentially, SEO is a methodical, strategic approach to moving your site up to the top of search engine page results. Imagine you need to hire a house painter in Austin. You pull up Google and type in “house painter Austin.” There might be dozens of great house painters in town, but if Bill’s House Painters has the best SEO strategies in place, his business might be the first one you see, which means it will likely also be the first business whose site you visit. Where your business shows up in search results, or organically, is determined by a number of components. Search engines use algorithms to organize their results, and these components all factor into those calculations. Keywords are critical in SEO. Your site should use the same phrases and language that your target customers will use when searching for services like yours. Content that’s well written and informative will help a site rank highly. Links from other websites to your website are also essential. Imagine that Google is just a giant popularity contest. Every time another site links to yours (especially a popular site), think of it as a vote for your site in the popularity contest. Google will always place the most “popular” site at the top of the search results page. Technically SEO doesn’t cost anything and an enterprising business owner with some free time on their hands could learn the basic skills necessary to improve how their website shows up in search results. So, how much does SEO cost? – just your time if you’re a self-starter. And, while SEO is not going to last forever if ignored, once a solid strategy is in place and executed well, a business owner can reasonably expect to show up well for targeted keywords for as long as they continue to focus on those keywords. Yes it’s free, but it’s complex and extremely time-consuming. In addition to the time-consuming and technically complicated nature of SEO, Google is constantly changing how it determines which websites show up first in results. It can be a bit like shooting at a moving target, which is why many small and mid-sized businesses hire marketing firms or SEO experts to help them optimize for search engines. The size and scope of your project will dictate its price, but you can expect to pay several hundreds of dollars per month for quality ongoing work at the very minimum. Many disreputable SEO companies will offer the world at a fraction of the cost – if it seems too good to be true, then it is. Lastly, by its very nature, SEO is a long process and should be viewed as a long-term investment. To properly optimize a website, create keyword rich content that generates the right inbound links, and have Google see all of this and recognize it, takes time. There’s just no way around it. While some immediate improvements are possible and not unusual, expect that a solid SEO strategy will take upwards of a year to generate real results. Leveraging the expertise of Austin SEO companies may end up saving you time and money in the long run. Like SEO, AdWords (sometimes referred to as pay-per-click or PPC) affects search engine results. It’s a Google advertising program that allows websites to be featured on the to and bottom of search results pages. Business owners have much more control over where, when and how their website shows up in search results. Customers set their own prices in AdWords. In other words, AdWords functions on a bidding system. At its core, AdWords uses something called “cost-per-click,” or CPC. You can set a daily spending limit and a maximum CPC, or the most you’re willing to pay each time a customer clicks on your AdWords link. So say you set your maximum CPC at $1 and your daily limit at $100. You’ll pay $1 every time someone clicks on your site through AdWords, up to 100 times per day. 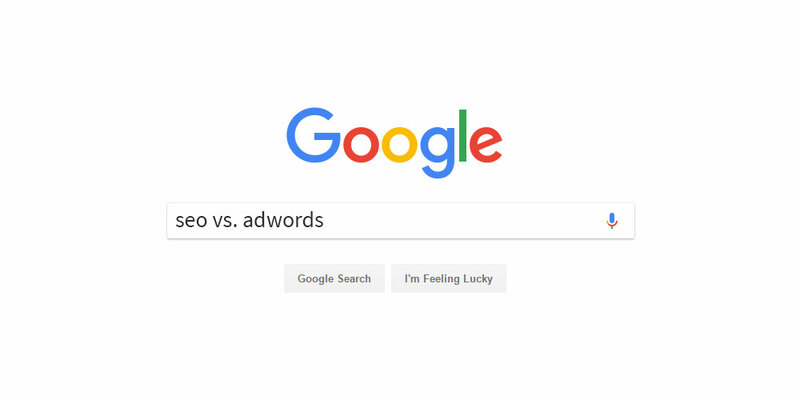 As we’ve already discussed, AdWords gives businesses immediate access to people searching for their products or services. It’s a great short-term strategy for generating traffic from search engines. It also provides the opportunity to determine, not only where but how a business shows up in search results and where the visitor goes when they click the link. This control provides the ability to test ads and hone in on marketing messages, optimize landing pages and conversion funnels. But there’s a catch: AdWords runs like an auction, so you’re competing with other businesses to get the best ad placements and, therefore, the most views and clicks. The amount you bid for each click and other factors like quality score play into your placement. The bidding system can mean that if bidding is incorrectly setup, you might end up paying for keywords that you would show up well for organically or even bidding against yourself. Without the help of Austin PPC services, you could rapidly make costly mistakes. And unlike SEO, when you turn off your AdWords campaign you stop showing up. There are no positive lasting effects of an AdWords campaign for your website. So, is SEO or AdWords right for your business? The short answer is, both. Both SEO and AdWords should have a place in your marketing strategy. Your long-term goal should be to build a strong website with a solid SEO foundation – it will continue to benefit your bottom line in the long-term. AdWords should be used to drive more traffic to your site in the short-term, and as a method to target and test new keywords that you haven’t optimized organically for yet. For more help with your Austin or Houston online marketing services, contact MARION today.